A new sermon series beginning in January! All God’s Children will explore key passages of the Scripture that speak of God as Father and ourselves as His children. The conversation will lead us to a deeper understanding of God, our relation to Him and our relations to each other. It will shape our thinking of what it means to be men in the church, women in the church and children in the church. 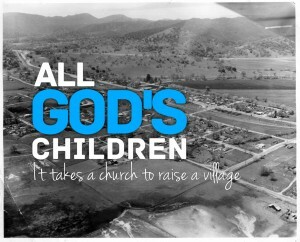 It will enhance our responsibility to all God’s children everywhere. It will raise up this church and a raised up church will raise up the village with it.